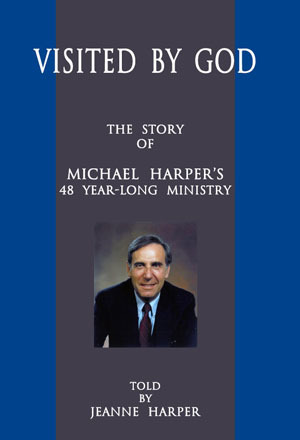 Jeanne Harper, Visited by God: The Story of Michael Harper’s 48 Year-long Ministry (Aquila Books, 2013), 146 pages. 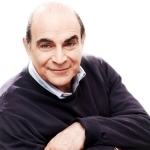 Visited by God is the extraordinary spiritual journey of an extraordinary Spiritual man – Michael Harper. I think that I would not be missing the mark to say that Michael Harper was the leader of the Charismatic renewal in England and many other parts of the Globe. Beginning as an Anglican chaplain under John Stott at All Souls Church, Langham Place, London, his journey finally culminated in his introducing an authentically British Orthodoxy as Dean of a new Antiochian Orthodox Deanery with English-speaking parishes all over the country. His journey was a long and often ‘very difficult’ and testing one. In some ways I can liken it to the journey of St. Paul in that he depended solely on the Holy Spirit to lead him and lead him the Holy Spirit did! It all began in 1962 when Michael was visited by God while studying St Paul’s two prayers in his Epistle to the Ephesians. He ‘saw’ the Church as God saw her – broken by divisions and untended wounds. It was almost from that very moment that Michael’s God-given mission for unity in the Church began. But there were many in the Anglican Church who opposed this renewal and together with Pentecostalism the movement was dismissed as over-emotionalism and therefore unacceptable. Inevitable disputes and arguments occurred but this did not deter Michael. On the contrary his detractors spurred him on! He continued to go wherever in the world there were people hungry for the power to live what they believed. 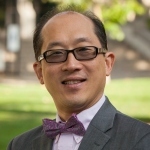 One might come to the conclusion that Michael’s journey as leader of the Charismatic renewal movement would result in a very broad liberality but when the Church of England’s General Synod of 1975 passed the motion allowing women into the priesthood, Michael felt more than just stirrings of discontent. 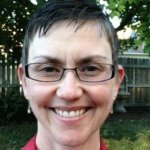 Jeanne Harper describes Michael’s anguish which led to a most difficult and painful decision – to leave the Church of England – whom he called his foster mother, so faithfully had she cared for him and led him to his real mother, Orthodoxy. Jeanne describes how he was led by the Holy Spirit to the Orthodox Church and in 2000 Michael founded the English-speaking Antiochan Orthodox Parish of St. Botolph’s near Liverpool Street, London. 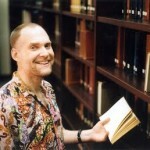 At the same time Michael was appointed as a director of the Institute for Orthodox Christian Studies Cambridge. And in 2005 he was elevated to Archpriest. The silken thread of a spider is spun from behind him as he moves forward to spin his web. The spider cannot see his work until he looks back and then the pattern of his web with all its links is revealed. 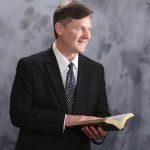 Looking back over the web of Michael Harper’s life one thing is clear – from the very beginning Michael’s journey had a pattern and this pattern was a pure reflection of God’s will in his life. Once this was achieved Michael was taken in 2010 and lives in constant joy and prayer along with the saints in glory. Jeanne Harper shares this God given Spirit filled journey of her husband with the reader and in so doing cannot fail to make us all yearn for the presence of the Holy Spirit to touch and lead all our lives. And let us not lose this opportunity. Visited by God is published jointly by Aquila Books U.K and The Institute for Orthodox Christian Studies, Cambridge.